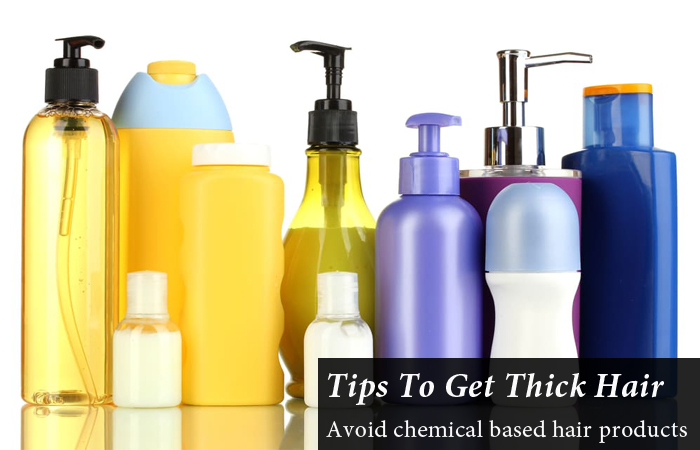 Most shampoos, conditioners and styling products have some chemicals in it that may damage your hair a lot. Avoid using such products. Use of natural based products is recommended. Sodium laurel, laureth sulfate are a few cleaning agents present in most shampoos which wash away the natural oils from the hair causing it to be weak and fall in time. Choose your hair products after knowing detailed information about its ingredients. Washing your hair every day can be very harmful. Our scalp produces natural oils that help to protect itself from all the chemical based products we use. Washing our hair every day would decrease the production of this oil and result in hair damage. The hair starts becoming weak, and there is a loss of hair causing its thinning. Washing your hair two to three times a week is the most appropriate way since it gives the scalp enough time to flush out excess oils and along with it, the shampoo is enough to keep the oils intact. 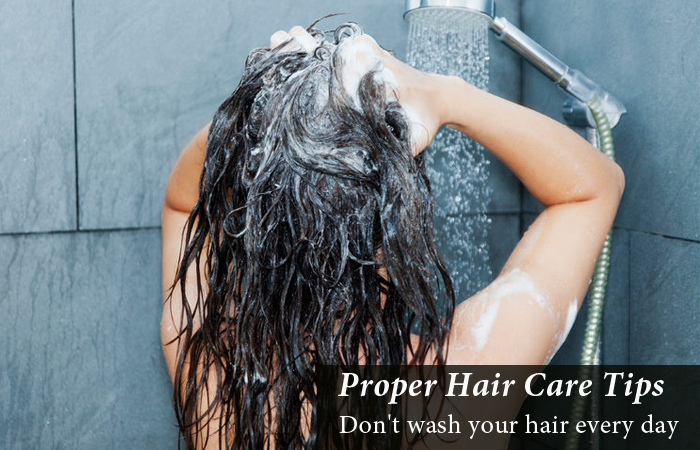 Washing your hair every day would also cause dandruff and other scalp conditions that can damage your hair. Using dry shampoo can help to keep your hair oil-free and make it look thicker. It is a powder you can comb it through the hair, especially, on the roots while washing. 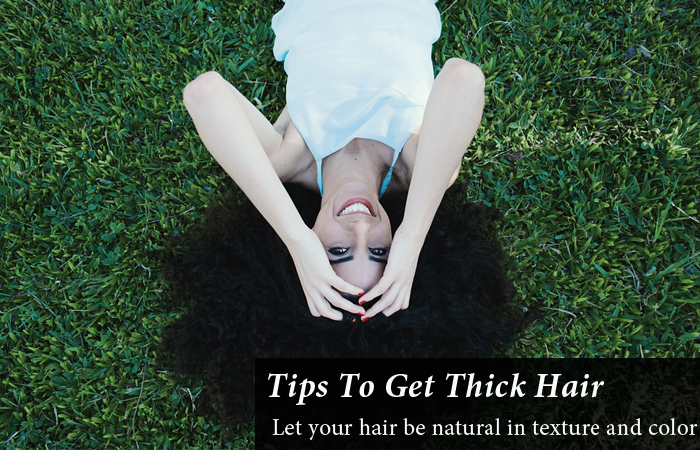 Some essential oils like Indian gooseberry oil, coconut oil, geranium, lavender, cedarwood, rosemary, chamomile, thyme, and almond oil help the hair follicles to thicken. Generally, applying 10 to 20 drops of any all of your choices on the scalp and massaging gently with fingers helps a lot. You can add 3to5 drops of essential oils to use shampoo or conditioner while washing your hair. 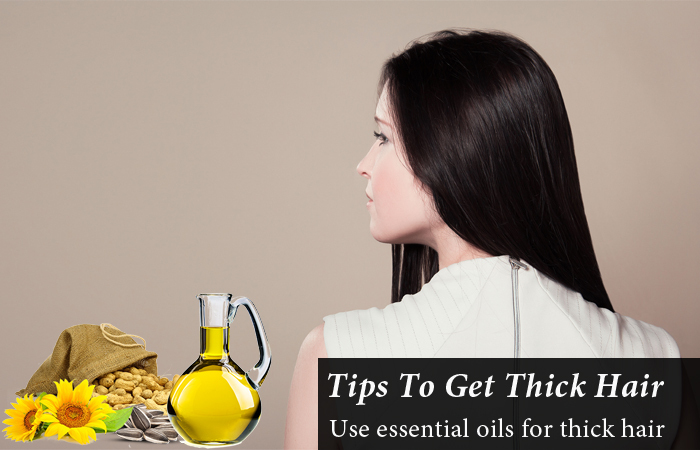 A mixture can be made by mixing 5 to 10 drops of Essential oil to 3 ounces of castor oil, olive oil, jojoba oil and sunflower oil to be applied on the hair. Let this mixture settle on your hair for 30 minutes and then shampoo. This mask helps to thicken your hair a lot. 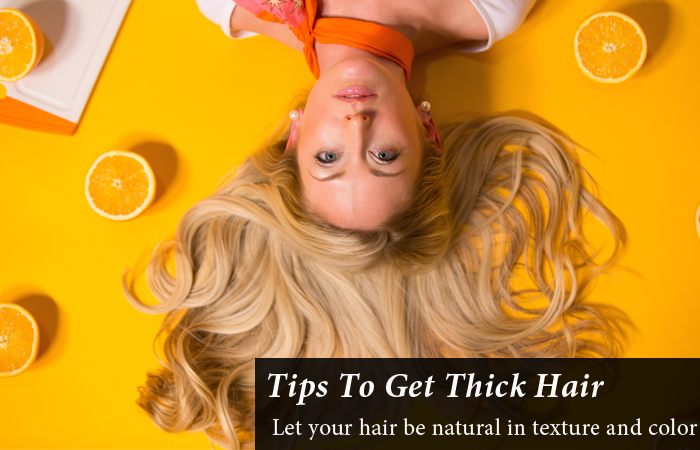 There are a few tips you need to follow on a daily basis and help decrease hair loss. Using a wide tooth comb is a better option than using a brush when you need to remove tangles of your hair. 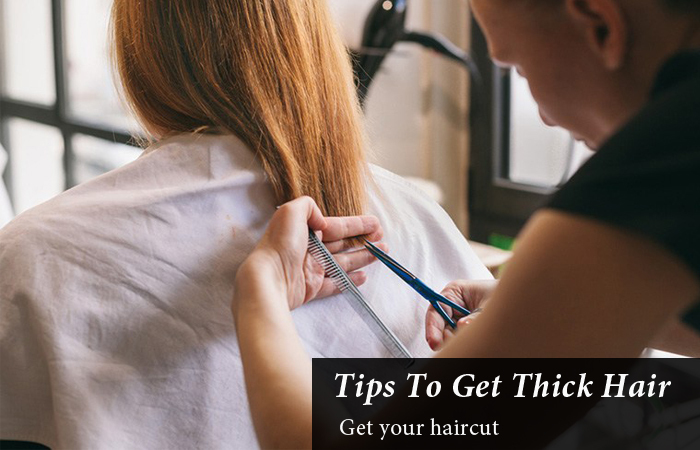 The hair should be taken in small sections and combed gently to remove the tangles. 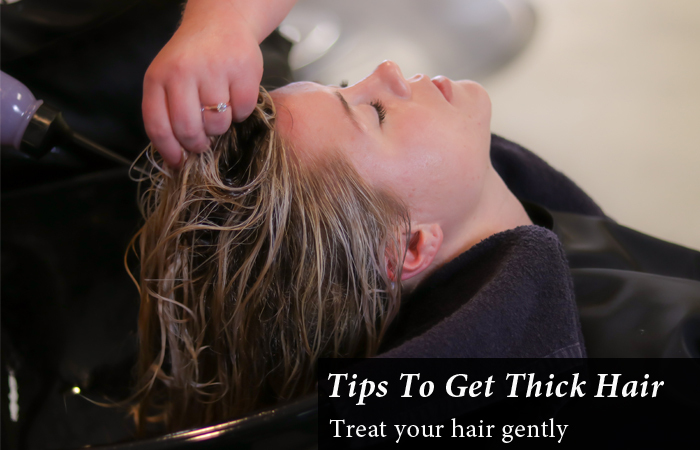 You should comb your hair very gently when your hair is wet. You should not dry or wring a towel to your wet hair as it may cause hair breakage. Gently squeeze and pat a towel on the hair to dry. Ponytails and different hairstyles where the hair is waived and braided may cause hair breakage as well as cause alopecia. Avoid it. 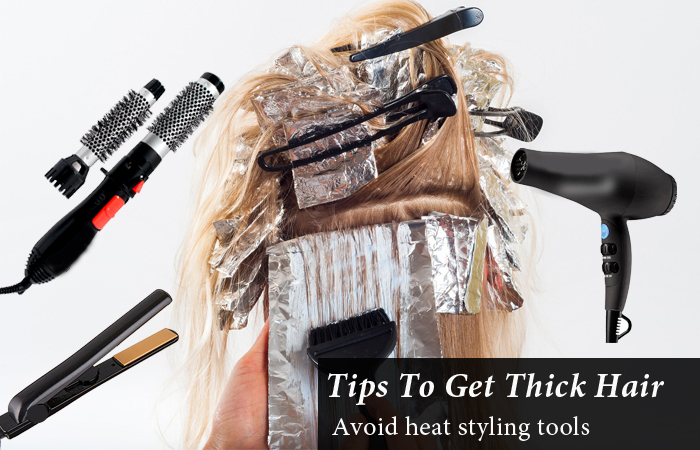 Avoid using hair dryers, straightening irons or curlers on your hair. If you use hair styling tools on a regular basis, it causes your hair to become dry and brittle and increasing your hair fall. Chemical treatments hair dyes and highlighting should be avoided. The chemicals present in these, damage the hair and cause hair fall. Lemon juice is a natural hair lightening ingredient which may also cause the head to free try to keep your hair natural. There are many volumes boosting products in the market. Choose some natural products to get a fuller experience. Use volumizing shampoo and conditioner to the roots and strands. This also adds on to the thickness of the hair. Lifters and volumizing spray should be used while you are styling your hair. The dead and split ends of your hair should be removed with a regular haircut. This helps your hair grow thick and fast. 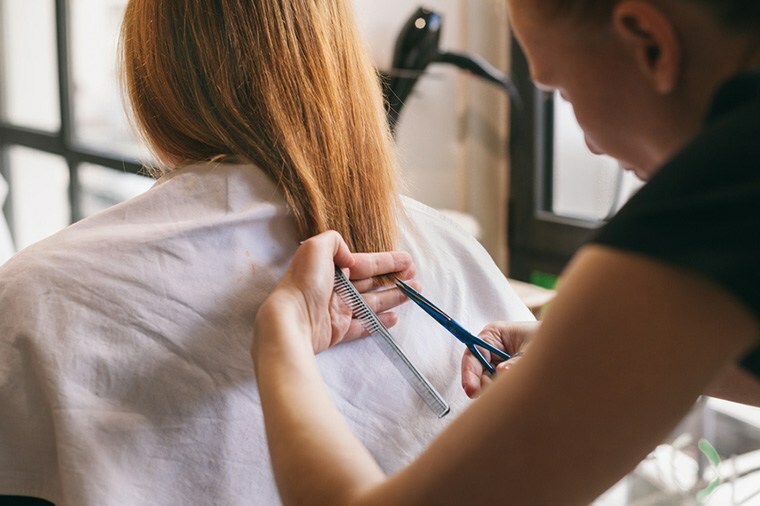 Hair stylists and hairdressers advise a haircut of 1mm in every 6 to 8 weeks. Many people experience hair fall because of deficiency of vitamins and minerals in their food. Vitamin B is essential for hair growth. You should have enough of it in your diet so that it avoids hair fall. Fruits, vegetables, nuts, brown rice are good sources of vitamin B. Iron is also needed for proper hair growth. Different types of meat, green leafy vegetables are some iron-rich foods. You should also take vitamin supplements available for hair growth. 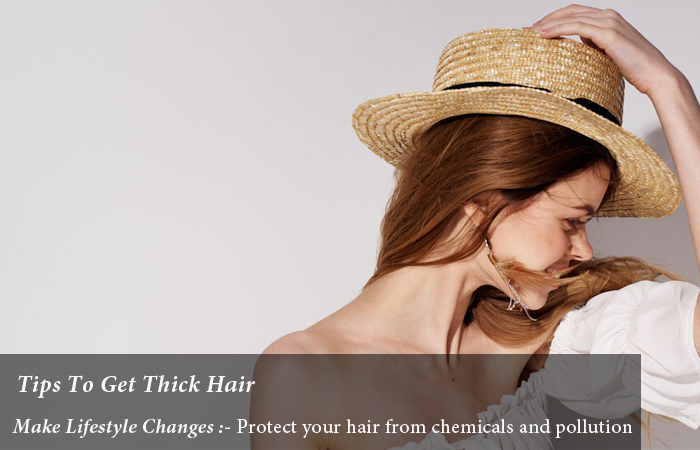 Your hair is exposed to everyday environmental toxins and chemicals you need to protect your hair from them by covering with your hair by a scarf or hat. A swim cap should be used when you are in chlorinated pools. 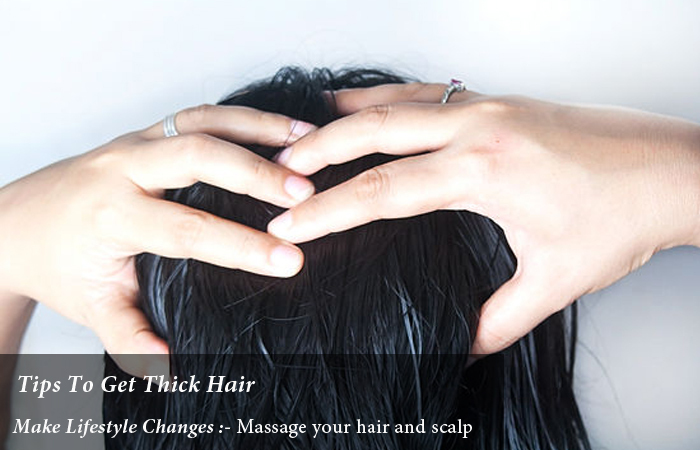 Massage your scalp with fingertips in circular motions and keep the oil for 30 minutes before shampoo. This helps the hair grow healthy and thick. Stress is an unavoidable situation in our daily lives today. 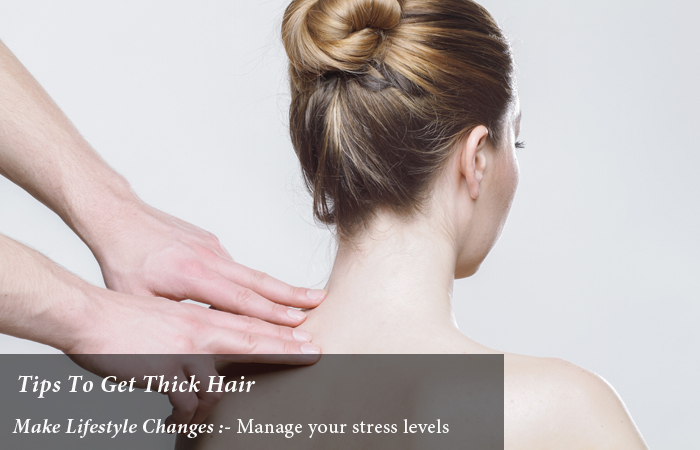 This stress results in hair fall and thinning of hair. You need to have a healthy lifestyle with exercises and meditation to de-stress yourself. Lesser the stress levels, healthier your hair will be. 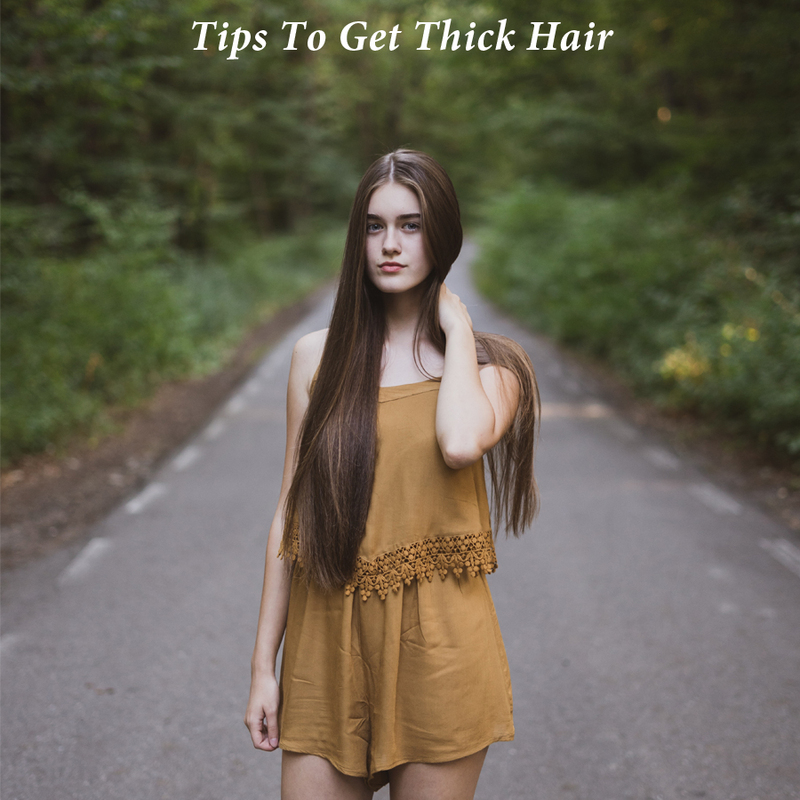 A few simple ways and techniques if imbibed in our daily life and some time religiously devoted to hair care will help you achieve thick, healthy and lustrous tresses. Choose your hair products wisely, exercise well, have a healthy diet. 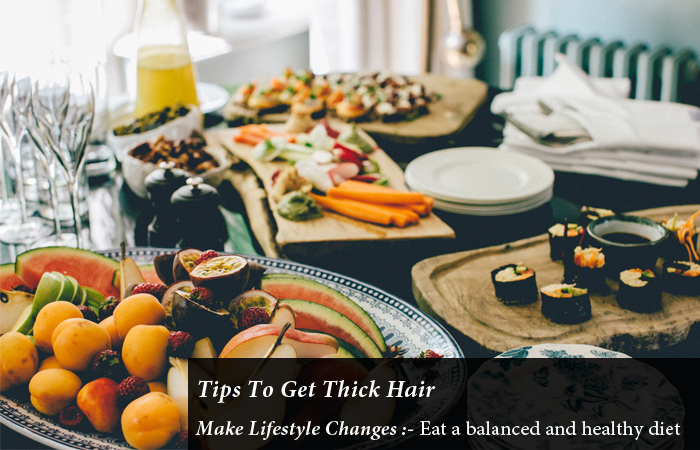 All the above tips put together would help you get thicker and healthier hair.